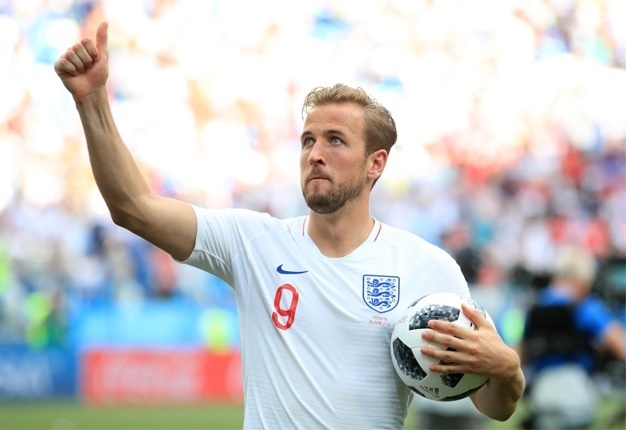 England chase their first win in a tournament knockout match for 12 years on Tuesday as they face Colombia after the Soccer World Cup draw opened up invitingly for Harry Kane's team. In a tournament full of surprises, Gareth Southgate's young England team are the only former champions left in the lower half of the draw following the shock exit of Spain. If England get past Jose Pekerman's tough South American side in Moscow, they would play the winners of Tuesday's other last-16 tie between Sweden and Switzerland before a potential semi-final against Russia or Croatia. Brazil and France lurk in the top half of the draw but Lionel Messi's Argentina and Cristiano Ronaldo's Portugal are out. Third-ranked Belgium avoided joining them on the tournament scrapheap late on Monday, mounting one of the great World Cup comebacks to beat Japan 3-2 in the dying seconds of injury time. They became the first team to come from two goals down to win a World Cup knockout match since West Germany fought back from 2-0 down against England in 1970 to win 3-2 after extra-time. Despite a growing sense of optimism over England's chances in Russia, manager Southgate is warning his team against thinking too far ahead. England, who won the World Cup in 1966, have a dreadful record in major tournaments, and have not won a knockout match since they beat Ecuador in the 2006 World Cup. "I think we've been in this position before many times over the last however many years," Southgate said. "It's pointless about us even thinking about what might happen after tomorrow's game. We're focusing on tomorrow's performance and then maybe things will fall into place." Southgate used England's shock defeat to tiny Iceland in the last 16 at Euro 2016 as a warning not to get carried away. England scored eight goals in their opening two matches, beating Tunisia 2-1 with a late Kane goal before thrashing Panama 6-1. They then lost 1-0 to Belgium as Southgate made wholesale changes. Kane, the tournament's top marksman with five goals in two matches, will be desperate to get back on the scoresheet as he hunts the Golden Boot. Dele Alli is fully fit and could return in midfield after missing the past two games, but Colombia star James Rodriguez remains a doubt. The Bayern Munich midfielder limped off with a calf problem during the first half of Colombia's 1-0 win over Senegal but Pekerman said the injury was not serious. Radamel Falcao will pose another threat to England's defence. The striker is back on top form at Monaco after two dismal years at Manchester United and Chelsea. In the other game on the final day of the round of 16, Switzerland meet Sweden in Saint Petersburg, looking to become the first Swiss team in 64 years to qualify for the World Cup quarter-finals. Sweden are counting on their collective spirit to carry them through after playing their part in sending defending champions Germany home early by topping Group F with victories over South Korea and Mexico. Belgium set up a quarter-final against Brazil on Monday after Nacer Chadli grabbed a dramatic late winner, with the match poised to go into extra-time. Goals from Jan Vertonghen and Marouane Fellaini cancelled out efforts from Genki Haraguchi and Takashi Inui and as the seconds ticked down, Belgium poured forward, with Chadli slotting home. "No negatives today, it was about getting through," said Belgium coach Roberto Martinez. "It is a day to be very proud of these players. Keep believing in Belgium." Brazil cruised into the quarter-finals as goals from Neymar and substitute Roberto Firmino gave them a 2-0 victory over Mexico. Neymar was criticised for his early performances in Russia as he eased his way back to fitness after a broken foot bone, but he is edging back to his best as the five-time winners move through the gears. Brazil are not yet at their dazzling best but they have an impressive array of firepower, with Neymar supported by Philippe Coutinho and Willian. And, ominously, Tite's team have now recorded three clean sheets in succession after their opening 1-1 draw against Switzerland.